Your Donation Will Help us Celebrate Women in the Arts in Edmonton. SkirtsAfire is a registered Charity. 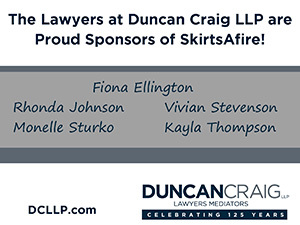 As a non-profit, charitable organization SkirtsAfire relies on the support and contributions of our sponsors, members, our audiences and many generous supporters. We appreciate your generosity. All donations of $20 or more will receive a tax deductible receipt.